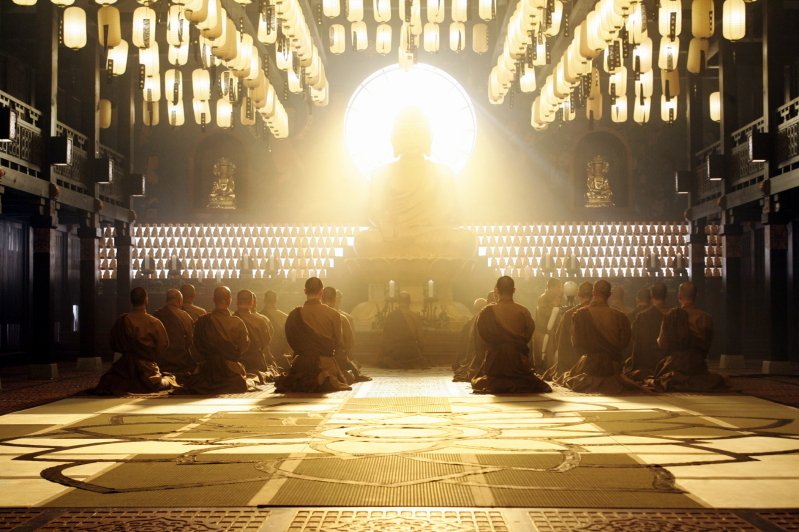 Creation of Heaven ("Chunsangui Pijomul") - In the future, when robots have become replacements for human labor, guide robot RU-4 works at a Buddhist temple. The robot achieves enlightenment and begins to preach sermons at the temple. UR, the company that manufactured the company, considers the robot a threat to human beings, and decides to disassemble RU-4. A robot repairman named Park Do-Won (Kim Kang-Woo) and Bodhisattva Hye-Joo (Kim Gyu-Ri) then try to save the robot from its imminent demise. 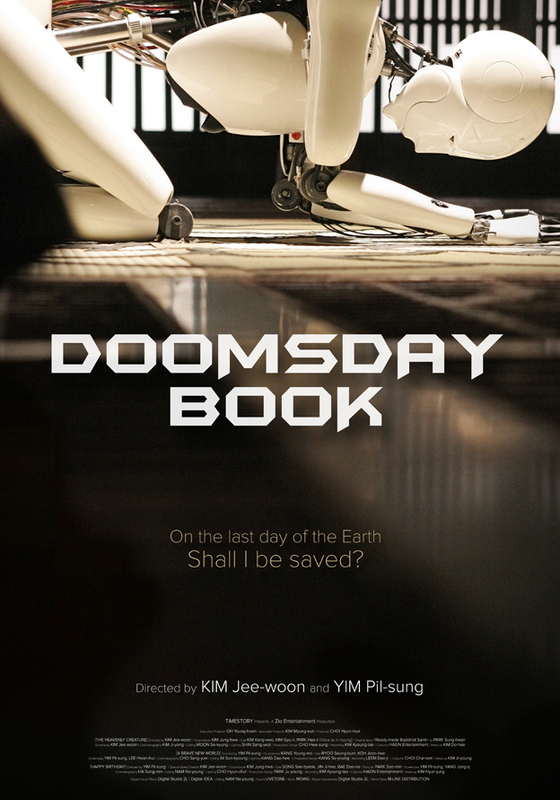 Movie "Doomsday Book" was originally planned as a three segment omnibus film. Filming began May 21 2006, but because of financing problems production stopped. Because of financing problems another segment that was titled "Christmas Present" and to be directed by Han Jae-Rim was not completed. 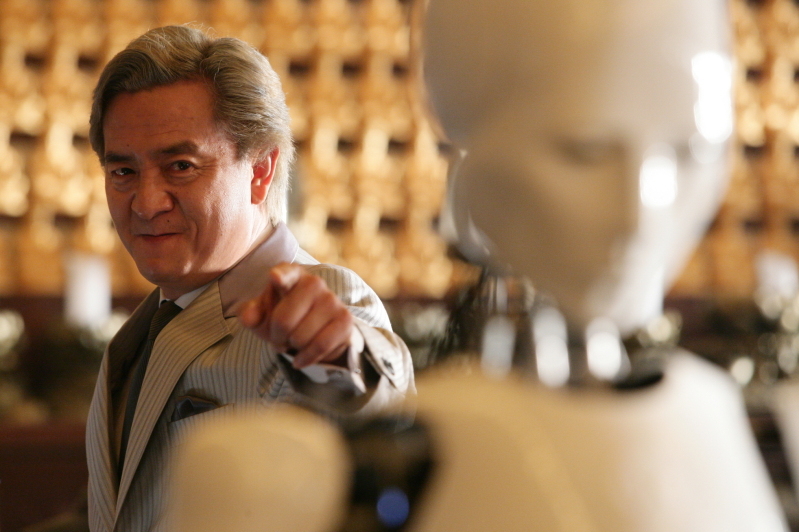 Kim Jee-Woon participated in the third segment "Happy Birthday" as a guest director. Q&A for "Doomsday Book" took place at the 2012 Puchon International Fantastic Film Festival on July 24, 2012. Appearing as speaker is director Yim Pil-Sung. AsianWiki editor Ki Mun was there and transcribed/translated the session. Moderator - There are three separate segments in the movie "Doomsday Book." 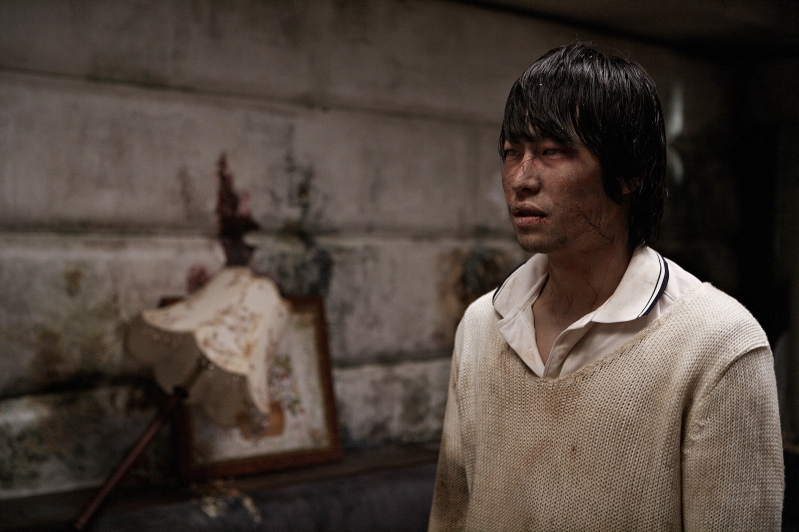 Director Kim Jee-Woon directed the second segment "Creation of Heaven." Today, we have Director Yim Pil-Sung, who directed the first and third segments, so could you ask questions about the two segments directed by Yim Pil-Sung? Audience Question - I tried to watch the movie when it screened in the theaters, but I missed it. I'm glad I could finally watch it here at PiFan. I did have high expectations, but, to be honest, I wasn't fully satisfied with the film. I would like to know why you wrote the script about the end of the world, which doesn't seem to be coming? I also would like to know if you think the movie will turn out to be prophetic or just a fib? Director Yim Pil-Sung - I think you'll rate the movie a 1 at naver.com. Yeah, a little bit of a stupid question. Initially, I intended to make a film only about the first segment "Brave New World" back in 2006. The doomsday scenario wasn't part of the original scenario. I tried to make a black comedy, with people turning into zombies due to the recycling of food and drinks. But the three segments came about and the last story "Happy Birthday" with the doomsday scenario. I don't think you know how hard it was to make this movie. It took 6 years. I wanted to make a black comedy, somewhat similar to the "The Twilight Zone" or "The Hitchhiker’s Guide To The Galaxy" with a low budget. I think the question whether the movie turns out to be prophetic or a fib can be decided by the audience. I think you just have to have fun with it. I didn't make the movie with deep thoughts, but we worked very hard to make the movie. Please give the movie a good score at naver.com. Audience Question - I really enjoyed the film. I thought it was really creative. I liked the zombies; I thought it was an interesting theme. The thing with the apple as well, but I was really impressed with the robot movie. It's something I've never seen before. 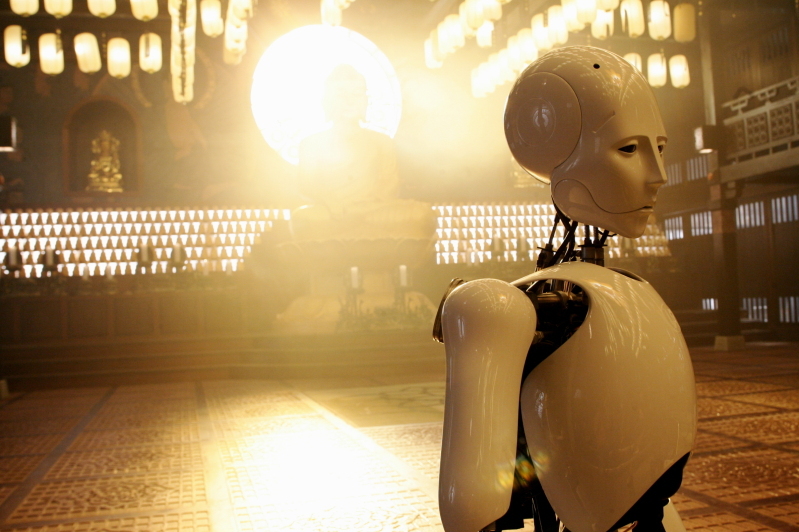 Where did the idea come from with the robot that's Buddhist and the conflict of interest? Director Yim Pil-Sung - I did not direct that segment. That was directed by Kim Jee-Woon. I did hear that the original idea came from a Korean short story. Kim Jee-Woon was really fascinated with that short story and turned it into his segment. Audience Question - Thank you for making this movie. Currently in Korea, genre films seem to be undervalued so I appreciate your efforts. The first segment "Brave New World" also depicts a political situation. Could you explain the political setting to the foreign audience here? Director Yim Pil-Sung - So far I have made 3 films, which have been released over a span of 8 years. I think for a time, I thought it would be impossible to make a film like this, because budgets for genre films seem to get smaller, even though I sell these types of genres films to Europe and the U.S. well. Nevertheless, I want to engage the Korean audience more. I plan to make a more popular film, which contains comedy and drama. For potential movie makers here, hopefully they don't go through what we are going through, because we have such a tough time. About the political situation in the first segment "Brave New World." I wanted to depict the political situation in 2006, like the Dr. Hwang Woo-Seok forged stem cell research case and the conflicts between liberals and conservatives, but not in a serious way. Some reporters asked about my own political affiliations. I think I am closer to hippies or anarchists. I just hope you enjoy the movie. I don't think you have to take it seriously. Moderator - You seem to like to try unique things. Your prior works "Antarctic Journal" and "Hansel and Gretel" reflect that. I think it’s difficult to balance horror and comedy. How did you divide the horror and comedy in a balanced way in this movie? Did you worry about the audience possibly misconstruing the movie? 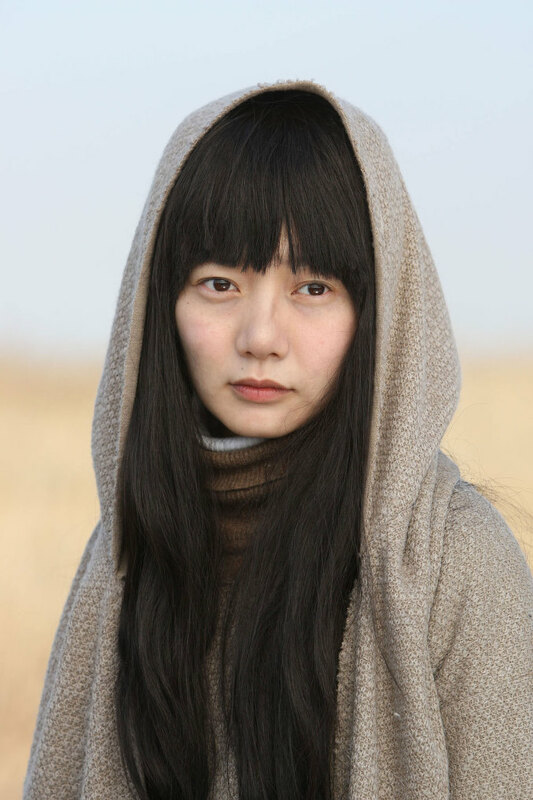 Director Yim Pil-Sung - With my two previous movies, "Antarctic Journal" and "Hansel and Gretel," I made a psychological thriller and a dark fantasy without a single comedic scene. With "Doomsday Book," I wanted to mix horror and comedy together, rather than having too much meaning in the movie, because people like comedy. It can appear that horror and comedy doesn't mix, but frightening scenes can be viewed as a black comedy. If I get it in a frightening situation, I feel fear, but from the point of view of another person, it can be viewed as funny or bizarre. I hope the audience doesn't take the last segment "Happy Birthday" very seriously. For my next film, I will make a more mainstream movie, because I have to make a financially successful film. Audience Question - I enjoyed "Doomsday Book." The third segment "Happy Birthday" is something that jumped out for me. The giant 8-ball was such a bizarre thing, that I don't think it's a completely random thing. You had to have a specific reason for having that. By the end of the film, I thought maybe the game of pool might represent evolution and also a metaphor for the way humanity has a tendency to want to conquer nature. Could you tell me how close I am to your real intentions and, if I'm wrong, could you let me know why you used the 8-ball? Director Yim Pil-Sung - I like your interesting interpretation. I haven't played pocket pool very much, but the reason I used the 8-ball is that I heard the 8-ball is the most important ball in pocket pool and if you look at the 8-ball sideways it resembles the symbol for infinity. I thought it would be fun in a black comedy setting, with something going wrong like ordering an 8-ball through the internet and the ball arriving as a planet. If I have to put meaning in the 8-ball, I think that if the Earth is destroyed it's probably not going to be from a big war or nuclear bomb, but by something really tiny. Playing off of that, I came up with the idea of an 8-ball. In my original script, I had another planet on a collision course with Earth, but that turned out boring. So I rewrote the scenario with the 8-ball idea, which I got from dad's job. buy house slippers Feb 07 2015 9:54 pm Unsolicited E-mail – Don't go for offers advertised via unsolicited e-mail, such offers are almost always a scam. You should have pretty good idea about the online shopping store. a software is used to aid customers in their purchase.